darkSpyro - Spyro and Skylanders Forum - Stuff and Nonsense - Should American Public schools have uniforms? 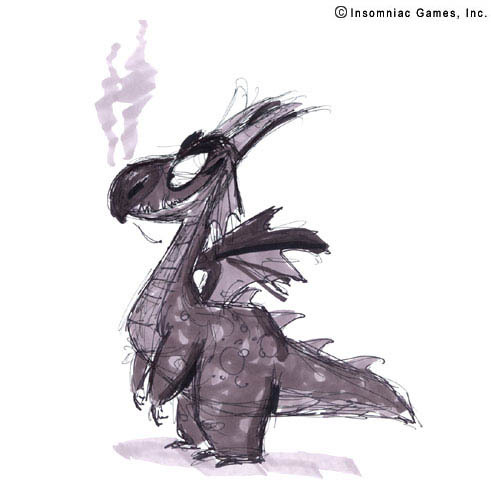 darkSpyro - Spyro and Skylanders Forum > Stuff and Nonsense > Should American Public schools have uniforms? Should American Public schools have uniforms? For the uninformed, Public American schools, as the topic title implies, don't have uniforms, which is unlike Private Schools, which typically (If not always do). There are arguments FOR this, and against. No one has to fit in with what they're wearing. They all have to wear the same clothes pretty much. Kids who may not be able to afford clothes suitable for school are given Uniforms to wear, which could go into the second point of fitting in. There is no concern for inappropriate images or phrases on clothing. Self Expression is limited by using uniforms. Kids maybe uncomfortable with the clothing. It can negatively effect self-image. So, what do you think? Yes? Or no? I'm personally completely against uniforms in public schools. I think it's something that needs to be discussed with the students, because they'll be the ones who would have to wear them. Whichever way the majority votes, that should be the decision. Here in Ireland, every school with the exception of very few have uniforms. The only good thing I would say about them is that they make it so you don't have to 'fit in' and also it prepares you for when you may have to wear a uniform for your work place. Other than that, I'm not fan due to how uncomfortable they are, especially if you are a bigger person, like myself. I live in Florida, and as I was growing up my Elementary/Primary school went through different policies regarding uniforms. For two years or so, uniforms were required. However, the material that the uniforms were made out of was not suitable for Florida. The polo shirts were much too thick. There were no Capri or Shorts options for either girls or boys. Boys could only wear pants, and girls had the option between pants or a skirt. After much grumbling from parents, the school changed it to where they offered uniforms and each family could decide what they wanted to buy/have their kids wear. And for the record, the uniform clothes were as much, if not cheaper, than buying new clothes from the mall. There were also discounted prices for families who had lower incomes, and my particular school even allowed parents to volunteer their time to partly pay for the uniforms if they wished. I think my mom spent a total of 2 hours cleaning after school and that got me a shirt and skirt. Then other parents complained about disruptive clothing. Children weren't wearing clothes that were within dresscode (spaghetti strap tank tops were "in" at the time, as well as jelly flip flops and such). So then the school changed it to where one day a week uniforms were required, and the rest of the week they weren't. This pretty much placated the parents and I guess after a while the parents that complained the loudest no longer had kids at the school and so by the time I got to 5th grade (year 6), there were no rules regarding dress code at all. The uniforms were still offered, but rarely anyone bought them because their kid wanted the latest it thing. Throughout Middle School (Years 7-9) and High School (10-13), dealing with the dress code was atrocious. It often changed yearly. Trying to find clothes that fit me (I was super tall for my age, so my mom had to continuously buy me pants from the women's section and then hem them as the girls pants barely made past my calves) and that were appropriate for the code was a nightmare. I WISH we had uniforms. And while there were places that still sold "uniform like" clothing, they didn't have the same discount system that my family relied on, and these clothes were charged at a premium, often marketed towards the wealthier families who sent their kids to private school. I am 100% towards children wearing uniforms. So much bullying involves whether someone has "nice" clothes or "ugly" clothes. Also, you'll be amazed at what people think that they can wear to work that requires a uniform; at the very least it'll teach teens how to dress professionally. I think wearing a uniform and being forced to look like everyone else, is a bit humbling, which I feel is an essential emotion to teach young children. It's not the clothes on your back that makes you who you are, but the decisions you make as a person. You still have the afternoon and weekend to wear what you want, it's not the end of the world. I know I'm not American but here in the UK pretty much every school has a uniform, though the individual rules vary in terms of how strict they are. I can see the reasons why people think that uniforms are a good idea, however for me personally I would say that, particularly with how strict many secondary schools especially are, it's not a good idea at all. For one thing, unless you're at a private school or good grammar school, uniforms are never appropriate for any sort of weather. For example, at my secondary school, we had a white shirt, tie, black jumper (wasn't thick enough to keep you warm in winter though even with a coat), black skirt/trousers and black shoes. In the summer, the black and the tie made you overheat, and I know of many schools where students have to wear blazers even in summer, and fainting or heat exhaustion is a common occurrence without even being out in the sun much. Some schools, like the ones I mentioned first, have different summer and winter uniforms, but most don't and they never seem appropriate for either, especially if they're ultra strict on coat styles/colours and the like. And don't get me started on PE kits. For girls especially, many uniforms can be really unflattering, and I never found the excuse about boys or worse, male teachers, being distracted by tight trousers or a short-ish skirt to be one I respected, as boys never seemed to bat an eyelid and if male teachers are distracted by under 16s that's a problem entirely with them and not with the girls wearing fitted trousers. I know people say that school isn't a fashion show, but particularly if you have low self esteem anyway, having to wear clothes that suit you really badly and don't fit well doesn't fill you with much confidence, and as school takes up so much of the week, it's a long time to feel self conscious. Uniforms were always really expensive as well. My school changed it slightly when I was in my last year, but we still had to purchase it all. They changed the jumper, which cost around £30 at the smallest size (which I was lucky to fit in) but the skirts and trousers all went up in price per waist inch, so if you weren't skinny you could end up paying almost £15 or so more, and as the area I'm in isn't very affluent it's quite a chunk to pay out for something you'll only wear for 9 months when you have something that really, is useable anyway. It also lead to schools focusing more on small details of clothing than education, with people often being put in isolation or sent home and even excluded for not wearing the exact branded skirt or for having their hair down if it was long, and there was never a good reason for these rules and disrupted education more than was necessary. Why I had to have my hair up in normal subjects and not just PE/science/technology I don't know, and why I couldn't wear trousers without a Rose Tyler-esque flare I also didn't know. In terms of bullying to do with clothes, it's a much rarer occurrence than people think, and if it does happen, people can tell even with uniform. The old jumper we had to wear for 4 years faded from navy blue to brown after a while, so you could easily tell those who had an old hand-me-down from those who could afford a new one every year. There's always something to show off who has the money, and even if everything anyone wore and the equipment they used was the same, someone would brag or make fun of someone they knew was poorer so uniform makes no difference to that. A sort of code of smart-casual I can understand, but even then I found it much more relaxing and comfortable when I could wear my own clothes and I know many others did too. Oh yeah, something i forgot to mention. Uniforms are very expensive, at least here in Ireland, especially for secondary school. Overall I could spend (Well my parents could) €200~ on just the jumper, trousers and shoes. The thing with the jumper is, they aren't the best quality as they are too warm for summer and aren't good enough for winter and you are legit just paying for the school crest. Then there s the school jacket which is another €75, and, at least in my school, it s the only jacket you can wear, any other one is confiscated. I'm just going to point out, that I think the UK folks are thinking of entirely different clothes than what are commonly handed out as uniforms in the US. These clothes are very common among private schools that require them over here. Typically, only the jacket would have the school crest on it, if it did at all, and the rest of the clothes can be bought either directly from the school, at a department store, or even online. Typically a school will say "children can wear these kinds of clothes in these kinds of colors". Some private schools that are headed by churches have more involved designs, require plaid uniforms, ties, blazers, or that clothes must be bought from a certain distributor. However when it comes to public schools, a polo shirt and khaki pant is usually the go to when it comes to uniforms. It is merely a way of simplifying the dress code and offering clothing to families at big discounted rates because the government subsidized the costs. And even then you can get a polo shirt at walmart for $5 USD. Kids don't have to worry about what they're going to wear each day, and parents don't have endless headaches going school shopping. Needing shorts/skirts of a certain length is a safety issue. Requiring closed toe shoes with a back strap is a safety issue. We just need more options with different weight materials for different seasons. Back in Kindergarden, I went to a Catholic church connected school, we did have uniforms, but I hardly remember what they looked like. I am an American, and I go to a public school with a uniform policy. Don't like it. I feel all students should be able to be themselves and wear what they want (as long as it's not vulgar, or else the authority will have a fit), and not be like a bunch of robots. That would be worst then dress codes (that already directly impact girls more then boys), in high school they banned the weirdest things from being worn. If a black veil bride shirt (for example) is too much of a distraction then you clearly should get a new job JUST SAYING. Also the irony that a school cheerleader uniform is acceptable when an outfit of the same exact size would get you dress coded. So no uniforms, it's worst then dress codes. Against. Maybe have a dress code, but otherwise against uniforms because **** that upkeep and you would have to pay for spares so. No. I hated wearing school uniforms back then. They were itchy and I sweat in shirts very fast. If you have to work in an office or shopping centre, I can understand but schools? Yes, you should still dress sensibly but uniforms are homogenous. I am from Britain and I liked wearing school uniform, it looks smart and makes you feel prepared to work. I just hated the blazers in High School, they have an awful and uncomfortable fabric and they forced us to wear them even when there was a heat wave. My High School became way over the top on uniform when a certain overly controlling headteacher who showed strong signs of sociopathy took over. She had a nickname I can't disclose for privacy reasons but basically people thought she was creepy because she used to touch loads of people to 'fix' their uniform after pulIing them over on the corridor. Restrictions on skirt lengths I don't agree with, people are not sexually assaulted because of their clothing. It's a crime motivated by power, not attraction. It is a crime that won't be prevented by restrictions on clothing, or much prevented at all because there will always be horrible people who want to hurt others. Creating an environment where victims are not made to feel at fault, that's the best way to solve the issue IMO. I don't agree with dress codes that are built around shaming people for their bodies. Or the typical "girls can't show their shoulders because boys will get distracted" bs. However, certain classes require a certain dress for safety reasons. When I took bio in college, we were not allowed to wear skirts that went above the knee and all shorts had to be bremuda-length due to OSHA safety standards. Both men and women weren't allowed to wear tank tops because our arms needed protection. I don't understand why these same standards shouldn't apply to Middle and High School science labs. In HS if we came to class without closed toe shoes, we'd have to spend the day in the library because it was unsafe for us to work in the lab. I went to a uniform school once, and I had to buy all of it from scratch. It even required a specific color of socks (which was not white) and official school-sanctioned t-shirts. Likely, uniforms would have to make poorer folk pay even more for clothing, even if it does help them fit in.